Baked raised donuts - not the same as fried, but good nonetheless! In an attempt to be healthy, but also to try out my mini donut maker, I decided to attempt some recipes for baked donuts. 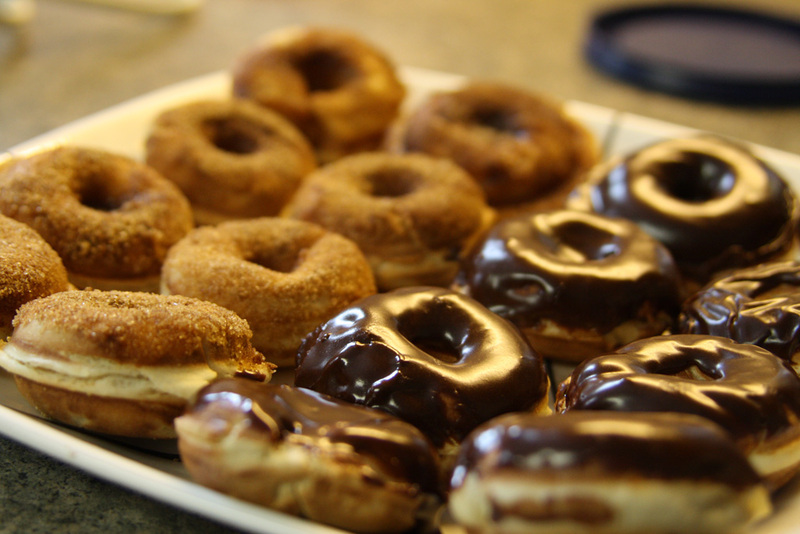 Normally, the donuts you find in bakeries are fried, but as we all know fried foods are not good for us. So I tried my hand at creating baked donuts. The first recipe (which came with the mini donut maker) was a total flop! However, the second recipe is an acceptable alternative to fried donuts. They taste a bit more like a sweet bread and have a denser texture than is commonly found in raised donuts, but if we do not compare them to the fried fatty donuts we are used to, they are a tasty treat. This recipe is based on the "Baked Raised" recipe from Doughuts: Simple and Delicious Recipes to Make at Home by Lara Ferroni. 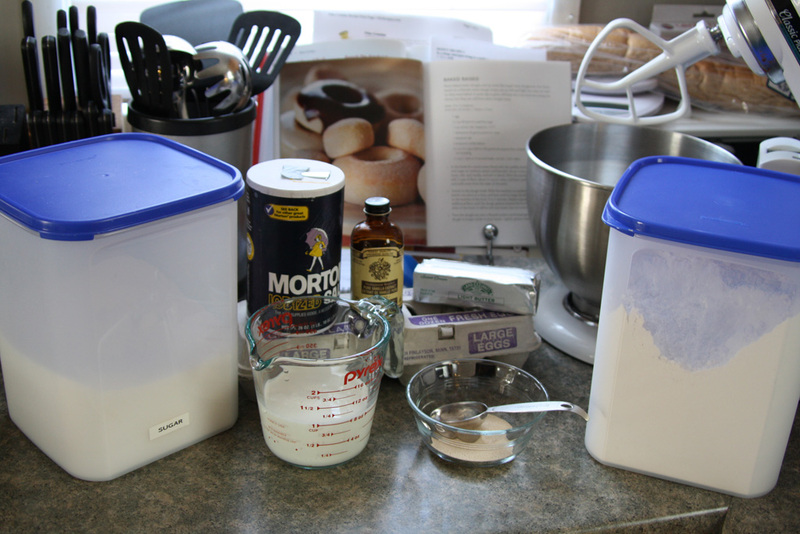 I made some slight alternations due to a missing dough hook and will share my version of the recipe with you! 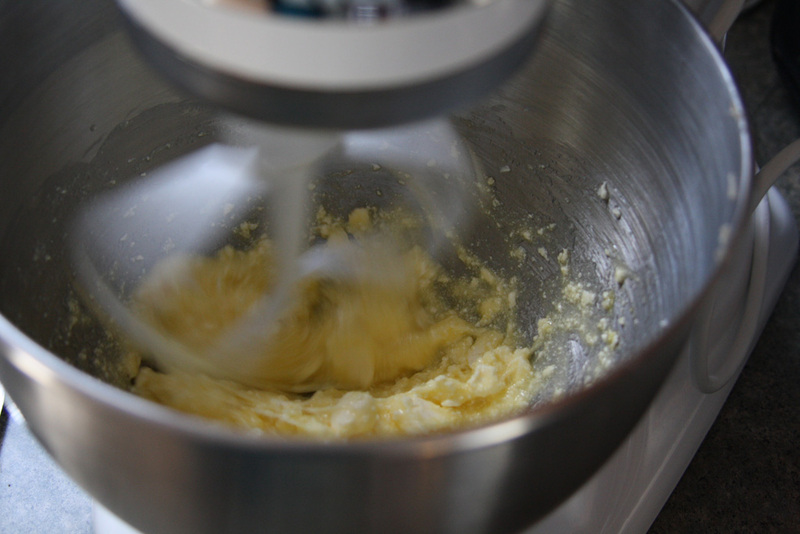 Beat the egg, sugar, and butter* in a stand mixer on medium speed with the paddle attachment until well-blended. Warm the milk to 115F. Then slowly add the milk, yeast, salt, and vanilla to the egg mixture. 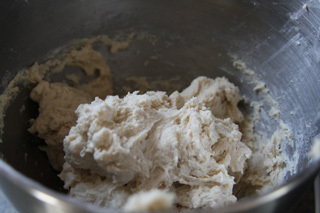 Start adding flour 1/2 cup at a time until dough is thick and pulls away from the sides. It will be moist, but not overly sticky. Flour a surface or pasty mat, and turn dough over on it. 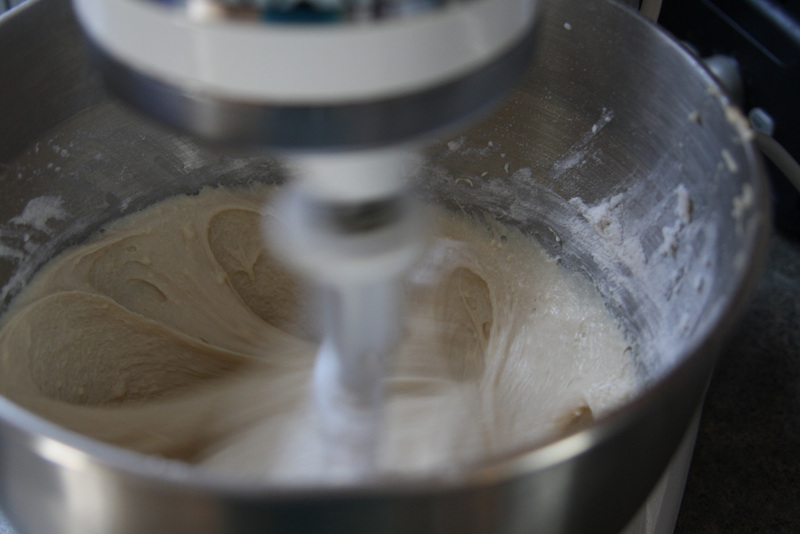 Knead it gently until the dough no longer sticks to your hands. 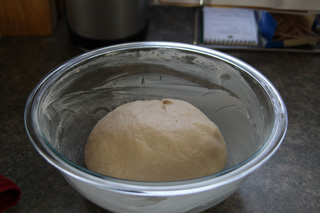 Then, lightly grease a large mixing bowl and put the dough in the mixing bowl, coating the sides. Cover the bowl with a damp towel and let rise in a warm spot until it doubles in volume, roughly 1 hour. Punch the dough down and roll out to 1/2 inch thick. 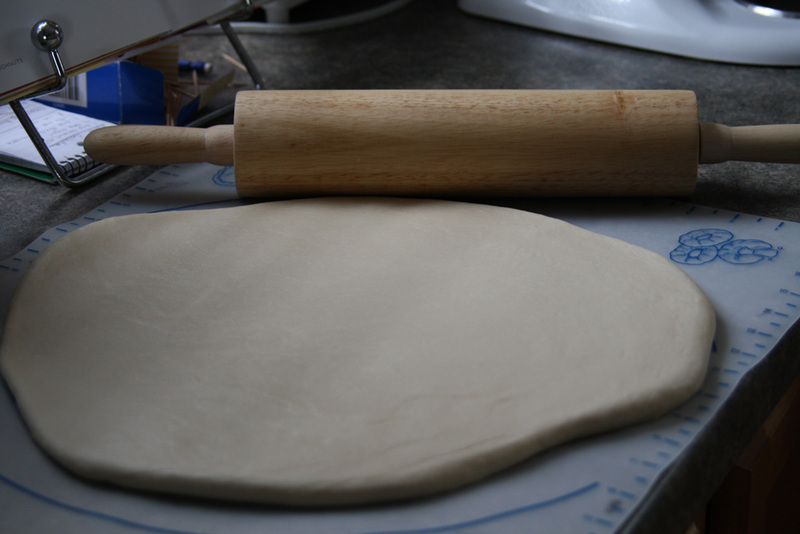 If baking: To make large donuts, use a 3inch circle to cut out the dough. 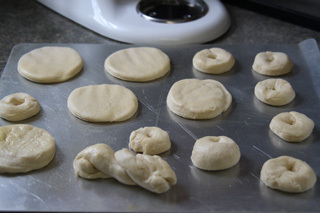 To make mini donuts, cut the dough in 1/2" by 4" strips, form a circle, and pinch the ends. Place on a greased cookie sheet about 1 inch apart. Allow to rise until double in size, about twenty minutes. Preheat the oven to 400F and cook for 5-10 minutes, or until lightly browned. Immediately brush with butter and cinnamon-sugar or glaze. If using donut maker: make mini donuts with 1/2" by 4" strips of dough. Place in the mini donut maker and cook for 3-5 minutes, or until browned. Immediately brush with butter and cinnamon-sugar or glaze. *Note: if you have a dough hook, hold the butter until the last ingredient. Mix up until flour as directed above. 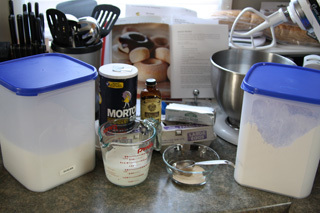 Start adding 2 cups of flour 1/2 cup at a time until dough is thick and pulls away from sides. Then switch to the dough hook and put the mixer on medium. Add butter one inch cube at a time and beat until no large chunks of butter remain. 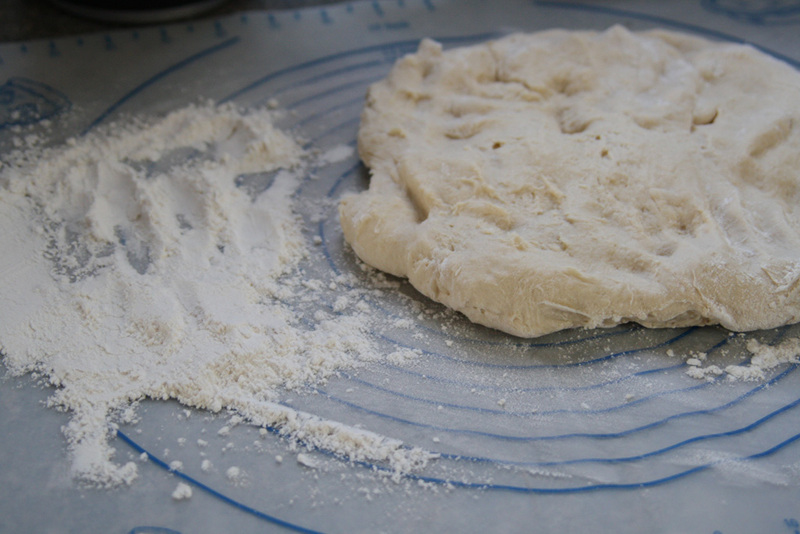 Reduce speed to low and add remaining flour until the dough gathers around the hook. It should be soft, but not overly sticky. (Directions are same from here on out). Both the oven-baked donuts and the mini donut maker donuts turned out about the same density, although the mini donut maker does make the donuts crispier on the outside. In either case, they are delicious treats!